Space is understood best through movement, and complex spaces require not only movement but navigation. The theorization of navigable space requires a conceptual representation of space which is adaptable to the great malleability of video game spaces, a malleability which allows for designs which combine spaces with differing dimensionality and even involve non-Euclidean configurations with contingent connectivity. This presentation attempts to describe the structural elements of video game space and define them in such a way so as to make them applicable to all video game spaces, including potential ones still undiscovered, and provide analytical tools for their comparison and examination. Along with the consideration of space, there will be a brief discussion of navigational logic, which arises from detectable regularities in a spatial structure that allow players to understand and form expectations regarding a game’s spaces. Dr. Mark J. P. Wolf is a Professor in the Communication Department at Concordia University Wisconsin. He has degrees in Film Production and Critical Studies from the Cinema School at the University of Southern California. He is the author or editor of a number of books on digital technology and video games, and he is currently working on a book on the theory and history of imaginary worlds. With a background in narrative and critical theory and previously teaching digital games design at Liverpool John Moores University, his research interests focus on games aesthetics and questions of textual pleasure. He is author of More than a game: The computer game as narrative form (Manchester: MUP, 2003), co-editor (with Tanya Krzywinska) of Videogame, Player, Text (Manchester: MUP, in press), and has published a number of articles on games narrative and aesthetics. He is a member of the Synergy Research Group at the University of Wales, Newport that seeks to explore the relationship between videogame research and practice. 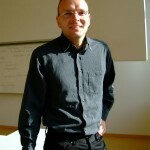 Dr. Gordon Calleja is Assistant Professor and the Head of the Center for Computer Games Research at the IT University of Copenhagen and Visiting Lecturer at the University of Malta. 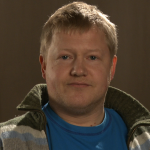 Gordon has a background in Game Studies, Literary Theory and Media Studies. His current research focuses on digital games and addresses three broad areas: game ontology, narrative in game environments and player involvement. The latter is the focus of his upcoming book on involvement and immersion. More info at: http://www.gordoncalleja.com. “Digital Game Involvement” in Games and Culture, Edited by Douglas Thomas, Sage Publications, USA, 2007. “Experiential Narrative in Game Environments”, in the proceedings of DIGRA 2009, Brunel University, UK. “Digital Games and Escapism” in Games and Culture, Edited by Douglas Thomas , Sage Publications, USA (forthcoming). Rune Klevjer is Associate Professor at the Department of Information Science and Media Studies, University of Bergen, where he teaches media studies, computer games, and media education. His main research interest is computer game theory, with a particular focus on questions of representation and narrative. His recent publications in English include “What is the Avatar?” (phd thesis, 2007), and “Model and Image. Towards a Theory of Computer Game Depiction” (2009). (2002) “In Defence of Cutscenes“. In Mäyrä, Frans (ed. ), Computer Games and Digital Cultures Conference Proceedings, Tampere: Tampere University Press. (2007) “What is the Avatar? Fiction and Embodiment in Avatar-Based Singleplayer Computer Games” (Ph.D thesis, University of Bergen). (2009) “Model and Image. Towards a Theory of Computer Game Depiction“. In Proceedings of The Philosophy of Computer Games Conference 2009. This paper uses Friedrich Nietzsche’s essay, „On truth and lie in an extra-moral sense,“ as a starting point to examine the relationship between reality and simulation. It argues, that the diffusion of digital simulation technology in the last third of the 20th century marks a qualitative shift in our symbolically mediated relationship to reality. After a brief theoretical introduction, it will unfold its argument on an empirical level, using a thick game playing description of Grand Theft Auto 4 as a paradigmatic example. This in-game experience will serve as material for the subsequent analysis, in the course of which, defining characteristics of computer game playing will be formulated. Finally, on the basis of this analysis, the paper will critically examine the question of computer game playing’s effect on players, which dominates the public discussion in Germany. It will unfold the hypothesis, that the experience of playing GTA 4 does indeed have an impact on the player, but that it is markedly different than the one postulated in the dominant media effects discourse. In short, it postulates that playing the game promotes competency in deconstructing simulations and implements a cyclic logic of recreation. Mark Butler, M.A. studied Kulturwissenschaft and European Ethnology at Humboldt University, Berlin. 2004-2008 Phd candidate at the Society and Technology Research Group of Daimler AG. Dissertation since 2004: „Das Spiel mit sich. Populäre Techniken des Selbst zu Beginn des 21. Jahrhunderts.“ 2008 Research Associate at the Social Science Research Center, Berlin (Wissenschaftszentrum Berlin für Sozialforschung). Since 2009 Research Associate at the Independent Institute for Environmental Concerns (Unabhängiges Institut für Umweltfragen – UfU). His research interests concern playing with computers, popular techniques of the self, contemporary fetishism, the cultural history of psychotropics, cultural sustainability. „Zur Performativität des Computerspielens. Erfahrende Beobachtung beim digitalen Nervenkitzel.“ (On the performativity of computer game playing. Experiential observation of digital thrill.) In: Escape! Computerspiele als Kulturtechnik. Hgg: Claus Pias und Christian Holtorf. Weimar u. a. 2007. Would you like to play a game? Die Kultur des Computerspielens. Berlin: Kadmos, 2006. „Zur Psychodynamik des Computerspielens – zwischen Perversion, Psychose und Rausch“. (On the psychodynamics of computer game playing – between perversion, psychosis and inebriation.) In: figurationen. gender literatur kultur. Heft 1. Hgg. : Caroline Torra-Mattenklott. Weimar 2004, 103–119. Communication, simulation, interactive narrative and ubiquitous computing are widely accepted as perspectives in human-computer interaction. This paper proposes play as another possible perspective. Everyday uses of the computer increasingly show signs of similarity to play. This is discussed not with regard to the so-called media society, the playful society, the growing cultural acceptance of the computer, the spread of computer games or a new version of Windows, but in view of the playful character of interaction with the computer that has always been part of it. The exploratory learning process that is involved with new software and the often creative tasks that are undertaken when using the computer may support this argument. Together with its high level of interactivity, these observations point to a sense of security, autonomy and freedom of the user that produce play and are, in turn, produced by play. This notion of play refers not to the playing of computer games, but to an implicit, abstract (or symbolic) process that is based on a certain attitude, the play spirit. This attitude is discussed with respect to everyday computer use and related to the other mentioned perspectives. Daniel Cermak-Sassenrath is an Assistant Lecturer (Lehrbeauftragter) at the University of Bremen (Universität Bremen), teaching courses on computer games, tangible interaction, and new media. His current work takes place in F. Wilhelm Bruns’ research team at the artecLab, an experimental group of artists, engineers, and scientists searching for new forms of human-machine interaction. The topics of his interest include game design, game theory, art and play, and Mixed Reality environments. Daniel Cermak-Sassenrath. MR Auto Racing – Mixed Reality Game for Public Installation. In: Reiner Koschke, Otthein Herzog, Karl-Heinz Rödiger, Marc Ronthaler (Eds.) Lecture Notes in Informatics (LNI) – Proceedings. Beiträge der 37. Jahrestagung der Gesellschaft für Informatik e. V. (GI). Vol. 1. Bremen, September 24-7, 2007. Gesellschaft für Informatik, Bonn, 2007, p. 570-4. Daniel Cermak-Sassenrath. Photo Shooting – Too Much Reality in Mixed Reality? In: Ulrike Lucke, Martin Christof Kindsmüller, Stefan Fischer, Michael Herczeg, Silke Seehausen (Eds.). Workshop Proceedings der Tagungen Mensch & Computer 2008, DeLFI 2008 und Cognitive Design 2008, Lübeck, September 7-10, 2008, Berlin, Logos, 2008, p. 37-8. Game space can be conceived of as being structured by varying levels of ruledness, i.e. it osciallates between openness and closure, between playability and gameness. The movement through game space can then be described as a vector defined by possibility spaces, which are generated organically out of the interplay between ruled and unruled space. But we can only define rules ex nagativo, therefore the possibility of breaking the rules is always already inscribed in this vector of movement. This can be conceptualized as a boundary operation that takes the difference between “ordinary life” and “play” as its argument, and which thus generates the difference between “play” and “game.” By applying the calculus described in George Spencer-Brown’s “Laws of Form” to this structure, we arrive at a formal description of game space that allows us to analyse game space as a (semio)logical concatenation of unit operations. This allows us to understand the ambiguity of play as a result not of its unpredictability of exuberance but of its inherent contextual logic. 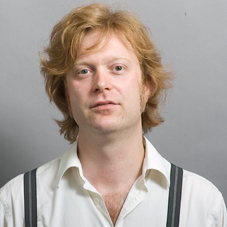 Julian Kücklich is Media Futures Associate in a Knowledge Transfer Partnership between the University of the Arts and the Press Association. From October 2009 he will be Professor for Game Design at Media Design Hochschule Berlin. He has published a number of articles on the semiotics, aesthetics and politics of computer game play. In 2008, his book, Playability, was published by VDM. More information at http://playability.de. Games are performative. They transform players into actors, game levels into virtual sets, and living rooms into cross-media stages. Applying concepts from Performance Study to video games opens up new perspectives on questions of game space, play, and game interfaces – among others. It also offers a useful theoretical background for Game Studies and game critique. Drawing from early consoles as well as most recent Augmented Reality examples, we can identify a shifting border as game expand further into the physical space and re-stage the players in new ways. The effects reach from individual cognitive engagement to new social rituals enacted in game worlds. This talk will trace some of these developments to draw Performance closer to Game Studies. Michael Nitsche is an Assistant Professor at the School of Literature, Communication, and Culture at the Georgia Institute of Technology where he teaches courses on virtual environments and digital moving images. Michael heads the Digital World and Image Group and is Associate Director of the Experimental Game Lab. His research interests focus on new forms of digital spaces formed not only by polygons but ever more so by networks, locative media, and transmedia. O’Neill, Brian/ Riedl, Mark O./ Nitsche, Michael ‘Towards Intelligent Authoring Tools for Machinima Creation’ in: Proceedings of the 27th international conference extended abstracts on Human factors in computing systems (CHI ‘09) (Boston, MA: ACM, 2009) (April 4-9, Boston), 4639-4644. Farley, Kathryn/ Nitsche, Michael/ Bolter, Jay/ Lang, Tobias and MacIntyre, Blair ‘Augmenting Creative Realities: Second Life Performance Project’ in: Leonardo, 42, 1, 2009 (Cambridge, MA: MIT Press), 96-97. Seen through the perspective of the critical discourse theory there is no specific knowledge of a specific game. The interpretation of computer games under the assumptions of CDA puts a focus on the working out of common samples, forms, symbolisms, meanings or narrations, which pull crosswise to obvious differences and levels of articulations through and within societies. Media discourse analysis cannot be thus an occupation with individual works or texts. I would like to proceed from the condition that computer games are always materializations of intersubjective knowledge configurations. I also want to proceed from the idea that computer games always can be understood as negotiation of socially and operational knowledge. I suggest a model that particularly copes with the translation shift of knowledge. This model proposes how one could approach the transfer and the interdependence of subjective knowledge, social knowledge and ›the intention of the author‹ theoretically. The computer game proves thus as a ›double coupling machine‹: on one hand on the level of the translation of specialized knowledge in an elementary or width knowledge, and on the other hand, on the level of the development of social basic knowledge. To that extent, to think about ›the implicit knowledge‹ of a game means to think about the embodiments of knowledge in the play. It does not mean to think of plays and games as hierarchical instruction situations. Main point of this paper will be the idea of the ›technology of invisibilisation‹. This point of becoming invisible is surely the point of interest for the media theory because while playing a video game nobody is willing to think about the functionality of the media system that makes this playing possible. Computer games generally set in a function of the naturalization. The functionality of the play as a form of discursive coupling results from the invisibility of the symbol-based, technical and arbitrary system of the computer, which only becomes visible in the moment of disturbance – for example, at the moment the system crash (the incompatibility of a program to operating system). 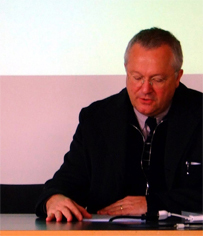 Rolf F. Nohr is professor for media esthethics and media culture at Braunschweig University of Arts. He is leader of the research project “Strategie spielen” (play strategic). More info at: http://www.mewi.hbk-bs.de/vita/nohrvita. Die Natürlichkeit des Spielens. Vom Verschwinden des Gemachten im Spiel. Münster 2008: LIT Verlag. (Co-Ed.) Shooter. Eine multidisziplinäre Einführung (Shooter. A Multidisciplinary Introduction) Münster 2009: LIT Verlag. Computer games may be defined as artifacts, that connect the input devices of a computer (such as keyboard, mouse or controller) with its output devices (in most cases a screen and speakers) in such a way, that on the screen a challenge is displayed, which can be met by time-, event- and/or configuration- critical inputs (cf. Pias 2002). On the screen we see pictorial elements that have to be manipulated in a time-, event- and/or configuration-critical way to master a game, that is to win a competition, to solve a riddle or to adopt a skill. Since the mid 1990s the technical developments of computergraphics have led to an increasing ‘realism’ of the pictorial elements. The computer displays confront us with actions and (by virtue of input devices) with possibilities to react, that strongly resemble the cinematic depiction of action and reaction. Computer games have grown up to the system of representative media and arts, and are widly acknowledged as (mis)representing reality and/or shaping our notion of reality. of self action experience. With Lambert Wiesing (media as tools for differentiating genesis and validity, cf. Wiesing 2006) one could argue that, just like pictorial media establish a situational abstract view and allow the direct communication of ways of seeing, computer games establish an ‘artificial sameness’ of self action experiences and allow the direct communication of styles of acting. In this framework computer games reveal a potential as a new means of shared cognition, that might unfold in the 21st century and change the being- in-the-world in a similar way as cinematic depiction did in the 20th century. Claus Pias, Computer Spiel Welten, München 2002. Lambert Wiesing, “Was sind Medien”, in: Artifizielle Präsenz, Frankfurt a.M. 2006. 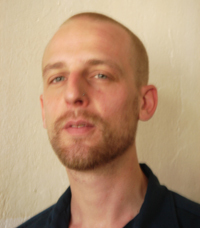 Jochen Venus is a Postdoctoral Research Fellow at the Research Center „Media Upheavals“ at the University of Siegen. He has studied literture and media studies, philosophy, and sociology. In the last two years he was a substitute professor for german studies at the Heinrich- Heine-University Düsseldorf. Currently he is working on a project about the aesthetic interrelationships between computer games and postclassical cinema. He has teached and written in the areas of media theory and popular culture. He is the author of the books Referenzlose Simulation. Argumentationsstrukturen postmoderner Medientheorie am Beispiel Jean Baudrillards (Würzburg 1997) and Masken der Semiose. Zur Semiotik und Morphologie der Medien (Berlin 2009/ forthcoming). He edited: Die dunkle Seite der Medien (with Björn Laser and Christian Filk, Frankfurt a.M. 2001), Spielformen im Spielfilm. Zur Medienmorphologie des Kinos nach der Postmoderne (with Rainer Leschke, Bielefeld 2007) and Erzählformen im Computerspiel (with Jürgen Sorg, Bielefeld 2009/forthcoming). Computer games are rigid in a peculiar way: the logic of computation was the first to shape the early games. The logic of interactivity marked the action genre of games in the second place, while in massive multiplayer online gaming all the emergences of the net occur to confront us with just another type of logic. These logics are the media in which the specific forms of computer games evolve. I propose this type of categorisation, besides and partly overlapping the one I also find useful, using action, adventure and strategy as central notions. In contrast to this, I take a look at gaming supposing that there are three eras of computation: the early synthetical one, ruled by the Turing machine and by mainframe computers, by the IPO principle of computing. The second that I call mimetical, when interactivity and graphical user interfaces dominate, the domain of the feedback loop. And the third I call emergent because of the complexity of networked personal computers and their users. PD Dr. Martin Warnke is Associate Professor in the Institute for Aesthetics and Culture of Digital Media, Leuphana Universität Lüneburg. His research interests concern Digital Media, Computers and the Arts. Martin Warnke: Computer-Kriegs-Spiele. Oder: eine Kultur der Gewalt. In: Nöring, Hermann et al (Hrsg. ): Bilderschlachten. 2000 Jahre Nachrichten aus dem Krieg. Technik – Medien – Kunst. Göttingen, 2009. S. 380-389. ISBN 978-3-525-36759-9 . Martin Warnke, Georg Christoph Tholen, Wolfgang Coy (Hrsg. ): HyperKult II – Zur Ortsbestimmung analoger und digitaler Medien. Bielefeld 2005. Martin Warnke, Wolfgang Coy und Georg Christoph Tholen (Hrsg. ): HyperKult, Basel: Stroemfeld 1997. The debate where to locate the narrative of digital games a) as part of the code or b) as part of the performance will be the starting point for an analysis of a single player game and a MMO and their respective narrative logics. When we understand games as abstract code systems, then the narrative logics can be understood as embedded in the code level (cf. Pias 2002, Degler 2004).With a focus on the player’s performance the actualisation of the possibilities given in the code system is central. Opposite to Pias and Degler, Juul claims that the narrative logics of a game are inseperably bound to the player’s performance. The underlying narrative logic of a game can only be synthesized through a player playing the game. Both logics, that of code and that of performance are reflected in player’s narratives based on their playing experience. They do reflect on the underlying code and rules of the game system as they do reflect on the game world and their own performance within. Those products created by players have been described as metagaming activities as they are a sign of the intimate knowledge of the game, and of the desire to imprint oneself into the text. These narratives rely heavily on the source text – the digital game – which means that they give insights into to underlying logics of the source text. Karin Wenz is Assistant Professor for Media Culture at the University of Maastricht (The Netherlands). Her Ph.D. thesis was on “Space, Spatial Language and Textual Space” (Raum, Raumsprache und Sprachräume, award of the German Association of Semiotics in 1996). She worked as a Guest Professor at Brown University (USA) in 1998, and as a researcher at the Catholic University of Sao Paulo Brasil in 2000. Replay: Zwischen Kunst und Spiel. In Ernest Hess-Lüttich & Karin Wenz (eds.). Stile des Intermedialen (Kodikas/Code 2007/1), 267-277. Tübingen: Narr. 2008. Hipermidia e redes as formas intermidiáticas em textos digitais. In Lucia Santaella & Winfried Noeth (eds.). Palavra e imagem nas midias: um estudo intercultural. Rio de Janeiro: Voze. 2008. Baumhaus oder Kaserne. Soziale Strukturen in World of Warcraft. In Ida Pöttinger & S. Ganguin (eds.). Lost? Orientierung in Medienwelten, 35-47. Bielefeld: GMK. 2008. How do different interfaces shape the experience of gaming? In my presentation I will take the common structure and aesthetic of contemporary music video games like Dance Dance Revolution as a starting point to explore some characteristics of the human-machine-relation that is established in those kind of games. With reference to a bergsonian concept of ›image‹ and informed by its theoretical application to film-philosophy (Deleuze 1997, 1997a) and video-philosophy (Lazzarato 2002) I will discuss the interconnection of movement, image and sound beyond a (simplistic cognitive) scheme of stimulus and response. Therefore I will argue, that the ›situation‹ of ›playing music‹ comprises player and machine in a specific state of resonance that can be described as a variation of the Movement-Image. The theoretical exploration of this situation may help to clarify some aspects of the aesthetics and possible pleasures of the interface. Serjoscha Wiemer is Researcher at the Institute for Media Research at the Braunschweig University of Art. He has a degree in Film- and Theatre Studies from the Ruhr-University Bochum and is working on a dissertation about video game aesthetics. He is co-editor of Shooter. Eine multidisziplinäre Einführung (Shooter. A Multidisciplinary Introduction) Münster 2009: LIT Verlag. Strategie in Echtzeit. Ergodik zwischen Kriegsspiel und Wirtschaftssimulation. In: Nohr, Rolf F./ Wiemer, Serjoscha (Hrsg. ): Strategie Spielen. Medialität, Geschichte und Politik des Strategiespiels. Münster 2008: LIT Verlag, S. 213-248. 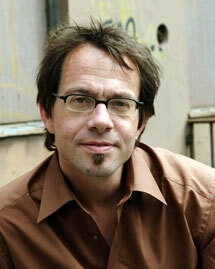 Dr. Stephan Humer is a Research Director at the Berlin University of the Arts. He received his diploma in sociology, psychology and journalism in 2005 with highest honors and finished his Ph.D. thesis two years later with the same result. Since 2008 he is directing a research programme that focuses on analyzing the digitalization of our society. In this context he is also acting as a Lab Director at the University of Applied Sciences in Potsdam and a project fellow at the Center for Technology and Society at the Technical University of Berlin.